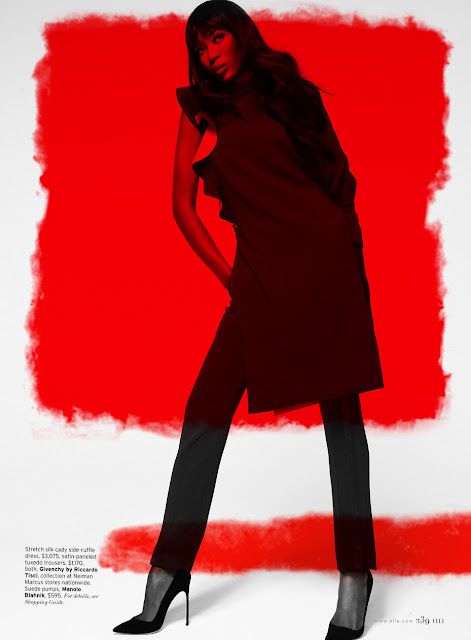 Zulema Custom Interiors: Naomi Campbell by Thomas Whiteside for US Elle February 2013! 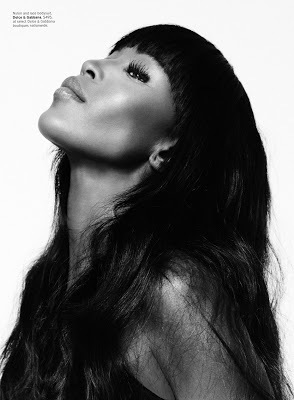 Naomi Campbell by Thomas Whiteside for US Elle February 2013! Wearing a Viscose knit dress by Azzedine Alaia. Viscose top and fishnet skirt by Veronique Leroy. Nylon and lace bodysuit by Dolce and Gabbana. Wearing a cotton jacket and a nylon skirt by Thom Browne. Suede pumps by Manolo Blahnlk. Wearing a Lacquered lace coat with ruffled lace peplum slit, a lacquered lace corset, and a patent leather and lace headpiece from Alexander Mcqueen. Wearing a Dolce and Gabbana Nylon and lace bodysuit. Sequined coat by Louis Vuitton. Asymmetrical silk dress by Anthony Vaccarello. Wearing a tulle bustier blouse and wide leg satin trousers from Zac Posen (sold at Neiman Marcus stores.) The nylon and lace bodysuit are by Dolce & Gabbana.